People often base their health on how they look and how they feel. Sometimes, unbeknownst to us, there could be some underlying issues with our health and our body. Dr. Chris Zaino, world-recognized promoter of health and wellness, has experienced first hand this treachery in his health. He won Mr. America at 21 and had been training and helping people to get in shape. Underneath that good physique he didn’t know that something was not well. 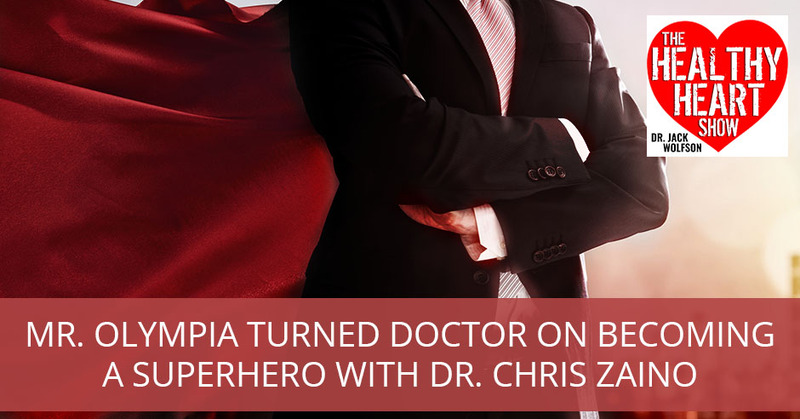 Dr. Zaino shares his journey from being diagnosed with a life-threatening disease that left him hopeless and devastated to a phenomenal recovery by becoming a superhero of his own self. Welcome to another episode. I am honored to have on Dr. Chris Zaino. If you don’t know him, you’re going to be in for a treat. He’s got some amazing things that are going on. He’s got a fantastic story about how he became a doctor and a world-recognized promoter of health and wellness. We’ll talk about his new project called I Am Hero Project and he’ll tell you all about that. Dr. Chris, welcome to the show. When I was over at your house, I’m looking around and I’m in your office and I see all of this paraphernalia for Rocky, the movie and Sylvester Stallone. Give me your connection besides the Italian connection maybe to Sylvester Stallone or Rocky Balboa, tell me your interest in that. If I was to look back, the first movie I remember going to see with my parents was Rocky. They didn’t take me to see, I was just a baby and they carried me along for that. Rocky was something my dad and I used to watch a lot and it signifies the relationship with my father. It’s not that we had a rocky relationship, but it was something that just reminds me. My office is a vision room. If people have vision boards, I have a vision room. When I walk into my office, I have these pictures, memorabilia and stuff that trigger and elicit visual signs of joy, happiness, satisfaction and great memories. I create the space to have the greatest imagination to create things. I made that vision room. Everything that brings me happiness, joy, excitement, great memories, I have it in that room. There are no bowls of fruit in that room. I love that idea of the vision board and the vision room and putting out there the stuff that you desire. Whether it’s inspirational things, inspirational quotes or even just a picture of the mountains or the beach. I am older than you, so I do remember going to see Rocky in 1977. We walked out of there and we went back home and I’ve got it now on DVD, but back then it was on Super 8. It was that handheld camera that my parents had. We got it on film of me drinking a glass of raw eggs inspired by Rocky and I was six years old and I love it. Back then, the movie Pumping Iron and Arnold Schwarzenegger are on the peak at that time. You watch the movie Rocky, which is my favorite movie of all time. We bonded over that tremendously. It’s my wife’s favorite movie to so many levels. The acting, the music, there’s nothing like it and it’s one of the only times where the main character doesn’t win the event. He loses the event, but he wins in life and accomplishes everything he wants to accomplish and it’s very inspirational. How does that tie into you and your love of bodybuilding and taking care of your body in general? The reason why you enjoy it, your wife enjoys it, I enjoy it and a lot of people enjoy this movie is because when we watched the movie, we saw a reflection of something in ourselves. The characteristics in ourselves, the quality ourselves, and the story of overcoming. That’s why we are attracted to that. My dad had a good built and we lived in New York. I lived in Long Island and he was 45 when he had me. At about twelve years old, New Yorkers go to Florida. They moved to Sarasota, Florida and he bribes me. He’s like, “I know you can’t leave your friends but in this house, we’re building, I’ll put a gym in your room. I’ll put like the universals.” We had a bench press on one end, the pec deck on the other one and the pull-down. It was like the weight stack. I was like, “This is awesome.” I had my own little gym in my room. I started working out at twelve. Becoming A SuperHero: When you have a physical disease, it will affect you emotionally and mentally. The reason why I took off is that my dad had a good built. I always collected He-Man figures and Rocky. All the people in the ‘80s were growing up and I was like, “They had built.” To me, that signified power, attention or whatever you want to call it. When I started working out, I responded well. When you’re twelve and thirteen years old and you’re getting a good response from people in school, that started becoming my identity or my significance. I was getting attention for the physique part of it. That was the thing that hooked me. By seventeen and eighteen, I started competing. If you haven’t seen the pictures of Dr. Chris when he was competing, you’ll check out his website. He’ll tell you more about DrZaino.com. You’re competing at seventeen or eighteen, where does that take you to and lead that into your illness that occurs afterward? I competed all the way until 21. I won Mr. America at 21 and that was awesome. I had a great degree in exercise physiology from the University of Central Florida. I worked at Universal Studios Florida to train some of the actors in Xena: Warrior Princess and Hercules to get them in shape to have that gladiator look. That was way before the movie Gladiator. I got to work with a lot of the Orlando Magic team. I had an awesome job. I was starting to write for the internet. I’m the cover of magazines. A couple of years later, I met my wife Whitney. About six months into our marriage, I’m looking good and feeling good and all of a sudden, I started going to the bathroom a lot. I thought it was just a stomach bug. Weeks later I’m still going to the bathroom five to seven times a day, then I start bleeding every time I go to the bathroom. Now, I’m getting scared because I see blood in the toilet and it’s getting worse and worse. I’m not telling Whitney anything. I go on Google. I played Google MD as many people do. I go on Google and I type in “blood in stool” and the first thing that pops up is cancer. I was raised to believe that my health was primarily based on the genetic cards I was given. That’s what we thought it was. My dad had cancer and my grandfather had cancer, but not at 26. I just turned the computer off. I disassociated from that as it got worse and worse. I lost more and more weight. My whole life was dictated by this issue. I started carrying clothes in my back seat because I always had the urge to go to the bathroom. There was that day at TJ Maxx on a Sunday. Every place I went into, I used to scope where the bathrooms were and these bathrooms were under construction. They were like, “Just go out. Next door there’s a Sports Authority.” I never made it because it was just not a physical disease and understand that when you have a physical disease, it will affect you emotionally and mentally. I’m worried, “What am I going to do? There’s no bathroom.” That worry, that fear, and that anxiety-induced this amazing painful urge that I have to go to the bathroom. I went up losing my bowels in public in front of 40 people. If you lose your bowels in public, most of you could get away with it. No one’s going to know but imagine seeing someone wearing jeans and blood is seeping through the jeans. That’s going to freak you out. I ran out of the loading dock and called Whitney. We went to the hospital and that’s when they diagnosed me with an irreversible autoimmune disease called ulcerative colitis. They tell you it’s irreversible ulcerative colitis and you know that it is reversible. The medical doctors think that it’s irreversible and they leave us no option. The only option in a lot of cases is high dose steroid and high dose chemotherapy to shut down your immune system. In a lot of cases, surgery is recommended straightaway like a sister diagnosis, if you will as Crohn’s disease. Once again in the medical community, that’s just an opportunity for high dose pharmaceuticals and surgical treatment, but there was never a discussion of causation. You’re seeing all these top doctors in the world, Dr. Chris, why aren’t they talking to you about the cause? Because they weren’t trained for the cause. They were great people. They have a heart, but in their mind, it was like, “If your symptom is from an autoimmune disease, then we need to shut down your immune system.” That was the train of thought. I was at Prednisone up to 80 milligrams a day. I was at Xanax and Valium to counteract the prednisone to sleep. I’m addicted to Xanax and Valium. They gave me another drug that damaged my liver so bad from the enzymes. I got medically-induced hepatitis, the chemotherapy, the Remicade, the Interferon and organ rejection medications. There were three of them. The problem with organ rejection medications is I’m a bubble boy. I’m wearing a mask. Now they’re like, “We got to take out your colon because your whole colon is done and you’ll have a colostomy bag forever, but we’re scared because you’re on three organ rejection medications. We don’t know if you can make it through the surgery.” My immune system shut, so this is the only option I’m faced with. I go home to see my mom who already lost two sons. One died from a heroin overdose and one died from a freak accident. My Mom lost my dad. This is son number three and she writes out to her email list to get to everybody and everybody hoped the surgery went well. One person, it was my anatomy teacher from high school, sent an email that offered a different solution, but one looking at cause and not just covering effects. Were you able to act on any of that information from the anatomy teacher? When you look back, there was some help there, but were you able to process that at the time? 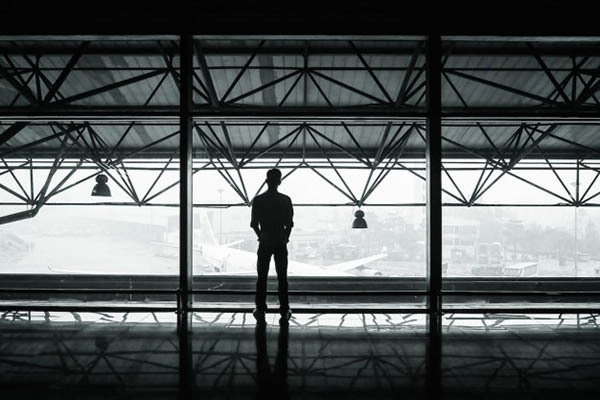 Becoming A SuperHero: Having a thought leader assess you from a 30,000-foot view who could see something you don’t see and help you do something about it is the key to health and longevity. I was in Sarasota and then he came over and he says, “Chris, I want you to go see my doctor. He’s a chiropractor. It will change your life.” He said it the way I said it. It’s very nonchalant. I’m going through a life threat and I’m going to die. I went to the best in the world, $250,000 worth of bills that we don’t even know how we could pay and the stress. I’m sterile. I’ll never be able to have children. I’ll never be able to have a family. I’ll be on $6,000 worth of drugs for the rest of my life and you nonchalantly tell me to go see your doctor who has an office out of his freaking home. It’s almost insulting. I said, “Thank you so much for caring about me. I tried everything.” He goes, “You didn’t try everything because if you tried everything, you would have had your health.” It woke me up because I didn’t realize when you have a disease, you don’t realize that you slowly become a victim and you slowly lose hope. I didn’t even realize I was in a victim state while I lost hope until when he told me. I was like, “He is right.” I clearly could have tried everything. I would’ve had results. That means that I didn’t do it all. That woke me up for just a little bit. It doesn’t wake you up forever, but it woke me up for a little bit to at least give this chiropractor a try. When I went there, he talked the cause like, “That’s great but when you take your medication, you’re just masking a symptom. It’s not the cause.” For me, my cause was nervous system related. There are multiple causes like nutrition and all these other things. My cause was I had a lot of damage in my lower spine that I never saw. That’s because too many people base their health on how they look and how they feel. With cancer and heart disease, you don’t feel it until it’s too late. Don’t live your life by how you feel. Even though I was ripped on stage and all that, I never saw that I had a twenty-degree misalignment, in my lower spine crushed my nerve roots to my colon. Underneath my neck, the bone protecting the brainstem, I had 50% pressure there. My body was unable to function the way it was created to function. Even though I ate well and exercised, but here’s the frustrating part of me. I had colitis diagnosed, needed surgery and I would drive by Sonic’s and McDonald’s and Burger King in the morning. There were lines coming out those fast food joints and I was so frustrated because I was like, “Those people who don’t even exercise, they’re doing way better than me.” I was so frustrated because I started realizing I must be on the wrong map somewhere. Based on my health on how I look or I feel, I’m living health on causation, putting my body in an environment of wellbeing. When the body’s in their environmental wellbeing, then it flourishes and thrives. I wish I could tell you in a week everything was done and we high fived. Seven months later, the blood stopped and my body healed itself from an incurable disease called ulcerative colitis. You never had the surgery. 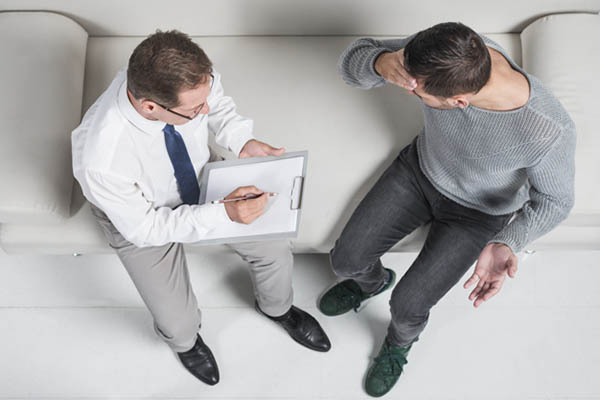 You’re right, it can be very frustrating to a lot of people because they do see other people with very poor behaviors and they think they’re not sick, but as you and I both know, they are sick. It’s just a matter of when they get their sickness. Everybody is getting something. They’re coming down with a heart attack, strokes or cancer. They’re all dying from that food. I know you and I are both in 100% agreement on that. People look at the TV show, America’s Biggest Loser that Bob Harper. I don’t know Bob Harper personally, I have no idea about his story. Only in the fact that yes, aesthetically he looks amazing on the outside. You’re like, “This guy looks like an iron man.” What happens is, he had a massive heart attack. I don’t know his stress level. I don’t know his environmental pollutant and toxin exposure. I don’t know his sleep patterns. I know he couldn’t get much sunshine. If we say sunshine is so healthy, he doesn’t get it in front of the TV camera in New York. He’s not getting sunshine in New York, all of these unhealthy behaviors. How does someone get a 20% curvature of their lumbar spine and how does the average person detect that? The whole thing is, it’s the blind spots. We knew how to take care of our teeth. It’s like, “We’re sitting here and we had cavities on our teeth, how did we get cavities in our teeth?” It’s because we weren’t aware of it. We didn’t see it. It was a blind spot. Taking a picture of the spine is what’s able to see it, but even more important than that, it’s not about we’ll detect it when it’s bad. There were no preventative measures to spinal health that I was taught. We know the brain controls everything. We know the nervous system is the master system, but we crossed our fingers and hoped to not need spinal surgery when we’re older from degeneration. There were no proactive efforts to take care of that part of the body just like your teeth, your heart, and your skin. There were no preventative measures. It’s always reactive care. Even when I saw that I was like, “I don’t feel that.” When someone has back pain, at least they feel it, but lower back, the nerve roots go to the colon. My only symptom was the disease of the colitis without the back pain. This whole thing’s going on. I’m sure if I had a misalignment when I was a little kid from car accidents or from sports and I’m squatting and I’m on a treadmill every day. I am leading a healthy lifestyle. I’ve worked it out and doing all these other things, but my core, my foundation, my spine being slightly misaligned over time compounded. Now, I have these massive curvatures causing a disease crisis in my body, but the whole thing I was unaware of it. It was always a blind spot. I always tell everybody, if you’re not getting and reaching your goals, chances are there’s a blind spot you don’t know about. That’s why mentors, coaching, having someone a thought leader on your team when it comes to health and different areas. It’s so great to have a thought leader to be able to assess you and see you from a 30,000-foot view and be like, “I see something you don’t see and let’s do something about that.” That’s the key to health and longevity. The scariest thing in life is to make a decision. When someone goes to a health issue, they just don’t know which way to go. They’re going on emotions and they’re always afraid of making the wrong decision. I was faced with surgery. I was pressured by the doctors to do the surgery. I was faced with this guy who is at his home adjusting spines. Why would I choose that one? Because when I asked him, “When am I going to get better?” This is what he told me, “As long as you have that damage in your spine and nervous system, your body is not in the environment to heal and be in a state of wellbeing.” He goes, “When you choose to correct the problem that you had that’s affecting your life and your future, then the body will go into its natural state of wellbeing. Your body would be able to heal itself. You will get well if you don’t quit on yourself no matter what.” He’s like, “It’s not up to me because that’s up to you.” For the first time, someone put all responsibility of health on me and he goes, “Once we do that drug or this procedure, it will be better.” He’s like, “Health is your responsibility.” When I realized that no one was coming to save me, I had to step up and take full charge and do what needed to be done. That’s when things started turning around. Tell me about the chiropractic protocol, if you will, that he put you on. What was the treatment plan that got you back to health? Not necessarily in seven months, but at least stop the bleeding and averted surgery and so on and so forth. What was his plan and what did he do and how did you follow it? Becoming A SuperHero: When you start making changes in your health, medications will easily be reduced or eliminated. It was a corrective care model. They took a picture first. Imagine seeing the picture of your spine and it’s right there. You’ll see that 23 curvature. You see where the spine should be and you know where it’s not so we have a baseline. The adjustments were all according to that picture, that x-ray because he knew exactly where to make the adjustment in the right segments on the right side. He knew exactly where to go. It’s like a map. I was like, “That felt good. Do the other side.” He was like, “No, I’m not going to do the other side because you don’t need it there.” You only do it where needed to remove the interference from the nervous system three to four times a week. I went there because it took time and repetition. The feeling was it’s almost correcting the spine, like braces correct teeth. It took time and repetition to restructure the spine, ligaments, and muscles to get a new memory of where they should be. Rehab at home, more spinal molding, sleeping over molds and doing certain spinal exercises. After three months, another picture was taken. In three months, you get to see that twenty is a seventeen. We know we’re moving in the right direction. It was based off instead of me saying I feel better, it was based off objective findings and subjective findings. When the blood stack that was down to about an eleven-degree curvature from a twenty, years later it’s about two. We’re talking about it. It never stops. I’m always on it. I’m not going back. It was something that became a part of my life. It was almost like braces correct teeth, this is a way of the spine correcting in a corrective manner. I love that analogy with the braces correcting the teeth. You don’t just go to the orthodontist one time and they slap on the braces and they say, “See you back in a couple of years.” You have to go and fine-tune. That has to do with everything in your life whether it’s the car or the house. It has to do with your health, always fine-tuning and that’s what the Doctor of Chiropractic is doing. I want to hammer this point home because myself as a cardiologist, I recommend that everybody has to be under chiropractic care in my practice because that’s how success happens. As Dr. Chris is telling you, the lumbar spine innervates the colon, the gastrointestinal tract. If you’re not dealing with those issues, if you’re not correcting subluxations and you’re not correcting the spinal dysfunction in those areas that supply those organs, you will never have the health to those organs. That applies to the heart when we’re talking about the vagus nerve coming out of the brainstem. We’re talking about the thoracic spine as it innervates the cardiopulmonary system. I’m sure Dr. Chris, you’re a Doctor of Chiropractic and you’ve seen a gazillion patients over the years. I’m sure you have so many different success stories about how people came to you and maybe they came for back or neck or headaches and you are the best at those issues, but then how do you start looking at all these other facets as well? We’re going to improve your blood pressure and your rhythm disorders. We’ve got the ability to do anything with chiropractic. Their blood pressure would be 80 over 40. I go, “Your body is functioning correctly and now you’re pushing it down with a false chemical.” A lot of times, I let patients know that this is serious. When your body starts healing, it’s going to heal and you could be doing more harm. I always tell people, “Go to your medical doctor and say, I’m starting to make some changes.” It’s not like I’m just going to chiropractic care. We’re about making changes globally and holistically in your life. You’re eating better, you’re doing things differently and say, “I’m making some changes and I would love your help in getting me off as many medications as possible.” I do these changes and get monitored. When you start making changes in your health, those medications will easily be able to be reduced or eliminated. A lot of times people are like, “I’m feeling better.” They take themselves off. I get it. It’s their life and you can do whatever you want but understand that there are certain drugs that the body build a physical addiction to and you just don’t drop it. This is why I can’t tell you to take a drug or not. Go to your medical doctor, “Doc, I’m starting to make some changes in my life and I want you to monitor me, watch me and helped me come off as many of these medications as possible. If you’re not going to help me, I’m going to find someone else who does,” but you have to be monitored. Dr. Wolfson will tell you, there’s some that you can’t cold turkey because your body is on the chemical addicted rollercoaster like antidepressants or prednisone. You can’t just stop that. Dr. Wolfson will be able to say, “We’re good.” When it comes to getting off chemical pharmaceuticals, a medical doctor is a thought leader in your life to help coach you off when they feel you’re ready to. What you’ve just heard is the hero story of Dr. Chris Zaino. The first movie is always the best with the superhero’s origin story. There’s no way to beat that. Dr. Zaino is still in practice. He’s a very busy physician in Houston, Texas area. Check out his clinic and hit that up. I’ve got an aunt down in Texas in the Houston area as well and she’s 76 years old. She’s doesn’t have so many health problems. She’s avoided the vast majority. I give her little tips on health and wellness and stuff like that, but I’m always telling her to go check out Dr. Zaino’s office in the Woodlands area of Houston. Tell us about the latest. What’s the latest going on with Dr. Zaino and where are we with the I Am Hero? I go through this health experience. I found my purpose. I would never have been a chiropractor in a million years. That wasn’t even $10,000 on the list, but I went through this experience and this experience changed my life. It’s something where I’m like, “I got this purpose bigger than my fear now.” Just like you, Dr. Wolfson, I need to tell the world. It became my stand as what Dr. Gentempo says, “Your stand is your brand.” It became my stand. I went back to school, I got my Doctorate. In 2005, when he and I opened up our clinic here, we became the largest clinic in the world. We peaked at 2,800 people per week. It was twenty times than the average office by just telling the story. Becoming A SuperHero: If you find an area of your life that’s a little tough, hire a coach and get some accountability. You’ll see that area will become one of the strongest points in your life. I would get out there in front of groups of people and tell them my story. I lead them to health and healing in the life they were created to have and making that choice of taking care of my health. I could have gone for the surgery. I would have been dead. I would have been divorced. I would’ve been sterile. I would have been a victim, but because of the choice of choosing to take care of my health, I’m happy and I’m whole. I could take care of my wife and family. I have two beautiful sons that I wasn’t supposed to have. I have financial freedom and financial security beyond belief. People are like, “The doctors saved your life.” I’m like, “No, I saved my life.” You have to understand that your health is your responsibility. I chose to make that choice and create a life that I never thought possible. Even though you think you check off the boxes that society says, “Happy wife, happy kids, and great success. Check off the box.” There’s always a point in our lives where we’re always evolving and expanding. You don’t check off all the boxes because there are new boxes that pop up. Even though I had all this success, there was a little bit of unfulfillment because I was ready to expand and evolve. I created the I Am Hero project, which is helping any type of entrepreneur or someone in some type of job that’s getting that. I call it grieving your potential. You got this thing on the inside knowing that you were meant for more. If you feel depressed or heavy or lethargic, it’s because the cloud is moving. It’s time to journey on. It’s time to step into the unknown. I hope whether it be entrepreneurs or people who are going to become entrepreneurs transition into that amazing calling they were created to do so they could work in a job that they love and monetize it, versus working a job that they think they had to work in for the rest of her life. It’s chasing happiness and fulfillment versus just security. It’s been a great journey and it woke me up. It’s so easy to get stuck in the mundane, “You should be grateful. Look what you achieve.” It’s not about being grateful, it’s about living to my full potential as a human being and doing everything I was created and put on this work to do. I wish that for everybody as well. We all need mentors. We all need guides. We all need coaches. We need people that we can bounce ideas off for accountability, whether it’s accountability for our business or for our health. We’re big promoters of health coaches as well in our office and someone who is always there to make sure that you’re on track. Everybody’s got their different expertise in their life. One person may be an engineer, one person may be a fireman, one person may be a school teacher or one person may be a stay-at-home mom. When you go outside of your expertise, where you’re going to find people that can help guide you to make you a better and more fulfilled person and that translates into health and into wealth and longevity and all the things that we’re talking about. You nailed the mastermind principle to its fullest. If you are reading this, understand that you take for granted your superpowers and then there are things that are easy to you that you take for granted. Someone else is struggling with and you could be someone in a God in their life that could mentor them through that time. I call them fearsome five. Everybody has superpowers for sure and most of them we just take for granted. That’s why I have a thought leader in every important area of my life whether it’d finances. Here’s the thing, I got to send my picture to my nutrition coach every Monday. The fact that I have to take a picture and send it to a Monday, that accountability knowing that I have to do that, it saved me from eating a thousand cookies and a thousand slices of pizza. I’m like everyone else, but knowing I had someone to be accountable to, it’s worth every penny I invest in them because it makes me the best human being I could be. I’m just using nutrition, but if you find an area of your life that’s a little tough, you hire a coach and get some accountability. You’ll see that area will become one of the strongest points in your life. If you’re like, “I try to do what they say.” If you’re dealing with hard issues and you’re like, “It’s just that exercise.” Get a trainer, get someone that’s going to knock on your door every morning. What you feel is weak, you bring a thought leader in there and I challenge you, when you have a thought leader, it will become one of your strongest areas. When you do get that thought leader, that coach and you invest the money in it, there’s also the incentive like, “I just invested all that money into that trainer. I don’t want to waste that money.” There are some of that there as well. When you do find a good coach, trainer, mentor that is interested in your best interest, then they will work with you to make sure that all things are successful. Dr. Chris Zaino, I Am Hero project at DrZaino.com Tell us what else is going on with you? Where do we find you? How do we get more information about Dr. Chris Zaino? If you want to keep this conversation going, follow me on Instagram. It’s @DrZaino. I put out content every single day and do lives every single day and its good stuff. I know your time is your greatest commodity. If you see any of my stuff, it’s surely going to make you better in one degree or put you in the right direction each and every day. It compounds to greatness. 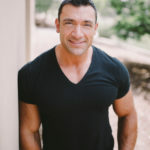 At Instagram or Facebook at Dr. Zaino and if you go to IAmHero.com/Secrets, I have some for you and it’s called The Hero’s Secret Sauce. It’s about five main principles that I was able to distill down, whether it’s becoming Mr. America, having the largest clinic in my profession at one point or just winning every day in life. You could get that as a PDF and some videos. That’s all for you as well. Dr. Chris Zaino, it was an absolute pleasure to have you on. Best to you and your wife. I’ve had the privilege of meeting your beautiful boys as well and what a miracle that is for you to be told by the medical doctors that it’s not going to happen for you. Now, you’ve got the fruits of your labor and everything that you did to recover yourself is just magical. We’ll catch you on the next episode. Dr. Chris Zaino is a world-renowned speaker, author, entrepreneur, and HERO. After winning Mr. America in 1998, and being a leader in the fitness industry, he found himself defying a deadly disease in his late 20’s. Dr. Zaino leveraged his experience to establish one of the largest health and wellness clinics in the world, seeing thousands of patients per week (yes, per week). Teaching mindset and health principles have allowed thousands of people to finally receive results where other health and medical systems failed them in the past. Now an international speaker, author, and mindset expert, Dr. Chris has shared his message of wholeness in mind and body over 4430 times. Shifting Doctors and Clients alike to continue to make an impact on millions. Today, Dr. Chris is a Healthy and Whole husband to an incredibly supportive wife, Whitney, and father to two amazing superhero sons, all of which would’ve been impossible if he hadn’t brought alive his inner Hero. Together, each of us can rise and reach our full Hero potential!